The garden, cleaned out and ready. 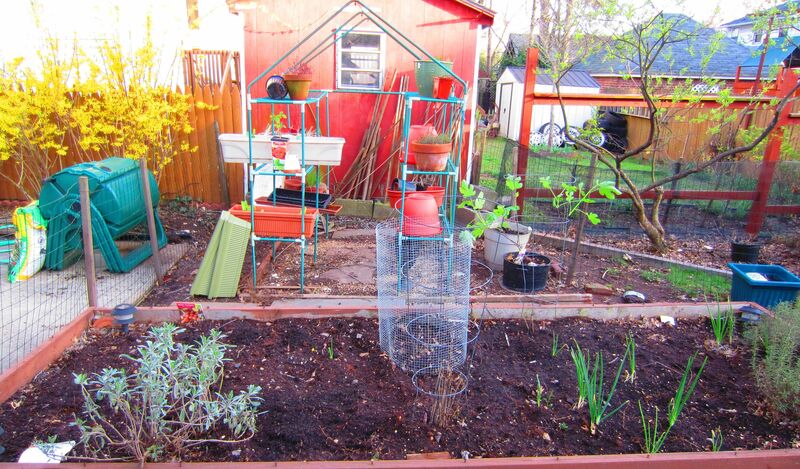 Today, I planted potatoes around the sage bush at left. Though my own personal potato blight two years ago hurt my delicate fee-fees, I’m trying again.